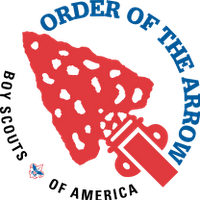 The Order of the Arrow (OA) is a National Honor Society for Boy Scouts. Those in it are selected by their peers and show qualities of good leaders, truly follow the Scout Law, and are expected to display cheerful service to others. Troop 28 is a part of the Lawasgoteu Chapter of the Wenasa Quenhotan 23 Lodge. At Week 3 Family Night at Ingersoll Scout Reservation, Matt B, Collin F, Sean Patrick, and Brad Hendricksen were called out as candidates for the Order of the Arrow! In order to become members of the Order, each must complete an Ordeal at either Fall or Spring Conclave. Congratulations and good luck! During Spring Conclave at Ingersoll Scout Reservation, Josh L completed his Ordeal and was inducted into the Order! Tony Lees and Daniel S sealed their membership in the Order by becoming Brotherhood members. Congratulations! For up-to-date news, check out WQ23.org! Jump Start for New Arrowmen - http://www.jumpstart.oa-bsa.org/ This is a GREAT website for learning more information about the OA (for members only). It is a great resource for taking the steps to becoming a Brotherhood member.